MomsRising.org | Tell your U.S. Senators to reauthorize the 2019 Violence Against Women Act! Tell your U.S. Senators to reauthorize the 2019 Violence Against Women Act! The U.S. House of Representatives just voted to reauthorize the landmark Violence Against Women Act (VAWA). Now it’s the U.S. Senate’s turn. With nearly half of all women killed in the United States murdered by a current or former intimate partner, reauthorizing VAWA is critically important to saving lives. VAWA 2019 makes modest but important improvements to the original landmark legislation that passed in 1994, that has since provided a lifeline to tens of thousands of women experiencing abuse. VAWA 2019 closes the “boyfriend loophole” that would deny violent dating partners and stalkers access to firearms. It also provides important tools to law enforcement officers to help them better enforce existing law. 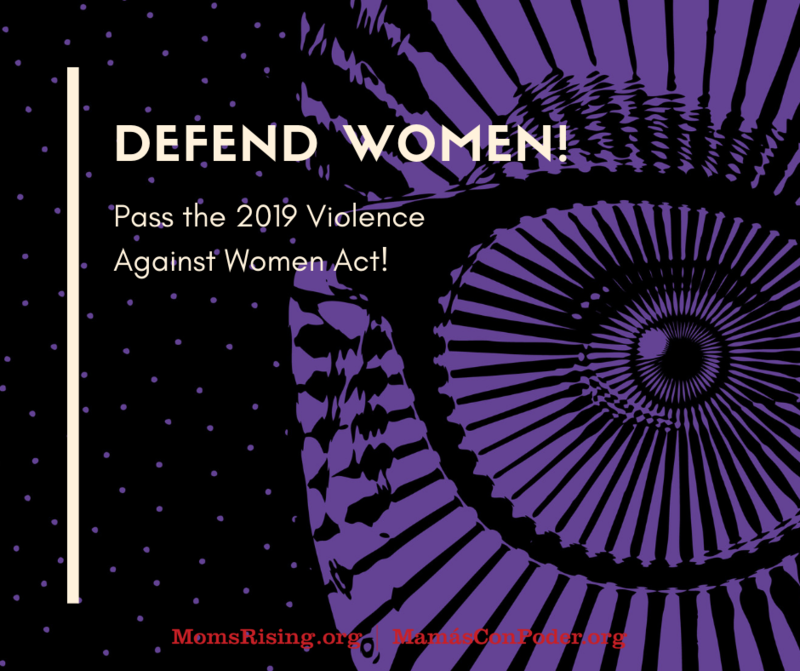 Defend women and reauthorize the 2019 Violence Against Women Act!